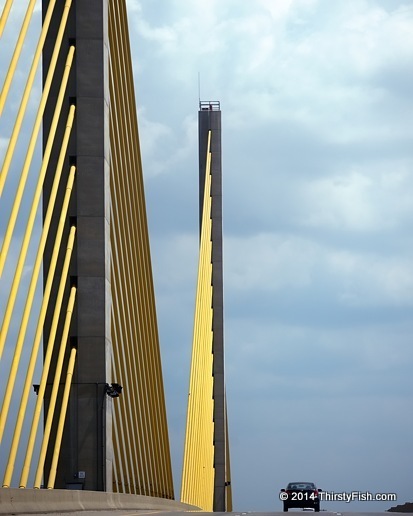 The Chesapeake & Delaware Canal Bridge (officially the Senator William V. Roth, Jr. Bridge) is a beautiful example of a harp design cable-stayed bridge. It was officially opened to traffic in 1995. The bridge spans the Chesapeake and Delaware Canal. Chesapeake (Chesepiooc) is an Algonquian referring to a village at "a big river" or "great water". The Algonquian Peoples were a self-governing confederacy of many tribes united by language, kinship, culture, common creation myths and trade.